Mirrorgate is the duo of Mario Diaz de Leon (guitar) and Doron Sadja (synths), with drum machine. Formed in early 2010, their singular sound combines doom metal and analog electronics into a fused, “shimmering” mass, emphasizing downtempo, ritualistic rhythms and a sonic interplay that is far more than the sum of its parts. 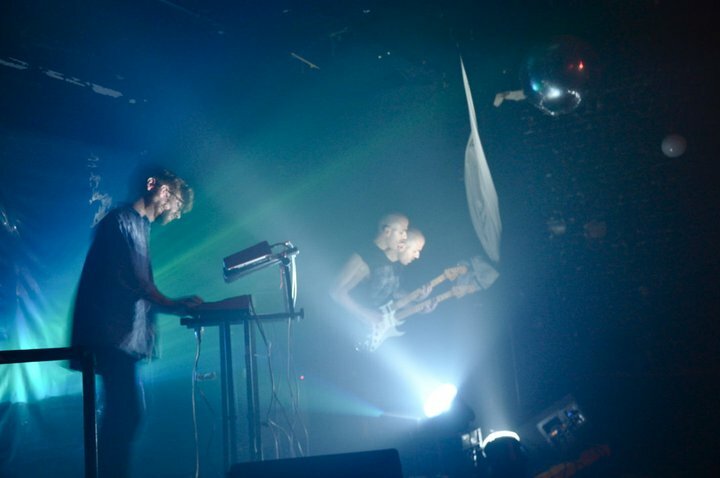 Mirrorgate live shows are further characterized by their unique “smoke and mirrors” visual element, and have drawn attention from a wide spectrum of audiences in NYC and the east coast. Their debut album is scheduled to be completed in December of 2015.